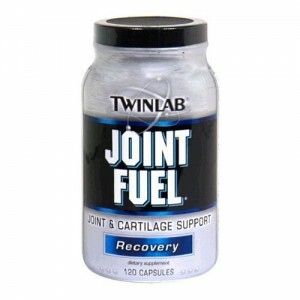 Joint Fuel is a joint supplement from TwinLab which manufactures a variety of other supplements as well. Joint Fuel has 1500mg of glucosamine sulfate and 100mg of chondroitin sulfate. It also has 702mg of tumeric to reduce inflammation. It also has Vitamin C, Vitamin E, Zinc, Selenium, quercetin, and bromelain which are all helpful. We found no artificial dyes or coloring in Joint Fuel. 1 star out of 5. Glucosamine Uses 1500mg of glucosamine sulfate. Glucosamine is a precursor to glycosaminoglycans which are a major component of joint cartilage. Chondroitin Sulfate Has only 100mg of chondroitin sulfate, about 1/8 the average amount. Chondroitin makes up glycosaminoglycans which are a component of cartilage. Boron Doesn’t have boron. People that have boron as a part of their diet have a lower chance of developing osteoarthritis. Avocado Soy Unsaponfiables (ASU) Doesn’t have ASU. ASUs are commonly prescribed in France for the treatment of arthritis. Methylsulfonylmethane (MSM) Doesn’t have MSM. MSM is a vital source of sulfur for protein and connective tissue synthesis. Boswellia serrata Doesn’t have boswellic acid. Boswellic acids are anti-inflammatory compounds. Cetyl Myristoleate (CMO) Doesn’t have CMO. Cetyl myristoleate is a compound found in the joints of arthritis-resistant mice. Curcumin Has 702mg of tumeric root extract. A good amount. Curcumin is used to reduce inflammation in Ayurvedic medicine. Hyaluronic Acid Doesn’t have hyaluronic acid. Hyaluronic acid is a vital fluid found in the synovial (joint-lubricating) fluid.